Dr. Rob Fuller, right, and Carrie Vopelak, left, hear about the state of the hospital's ER from Dr. Robles after Hurricane Maria. 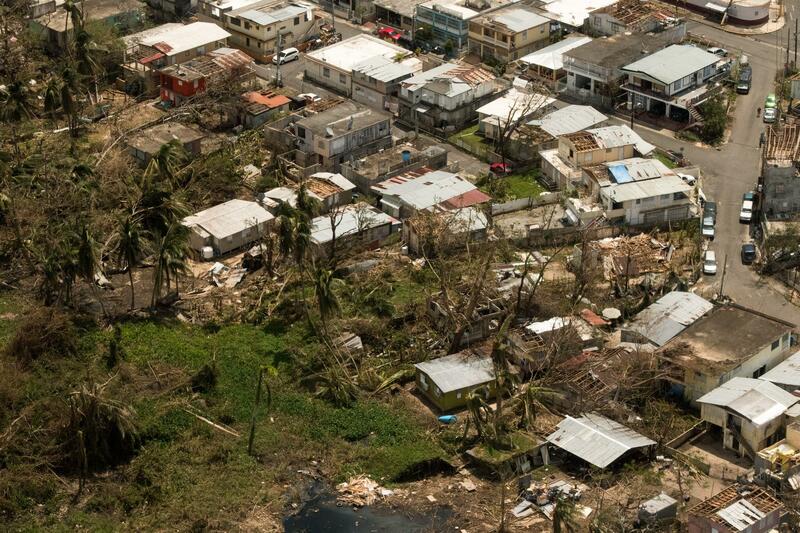 International Medical Corps is in Puerto Rico to assess the damage and help those suffering in the wake of the storm. 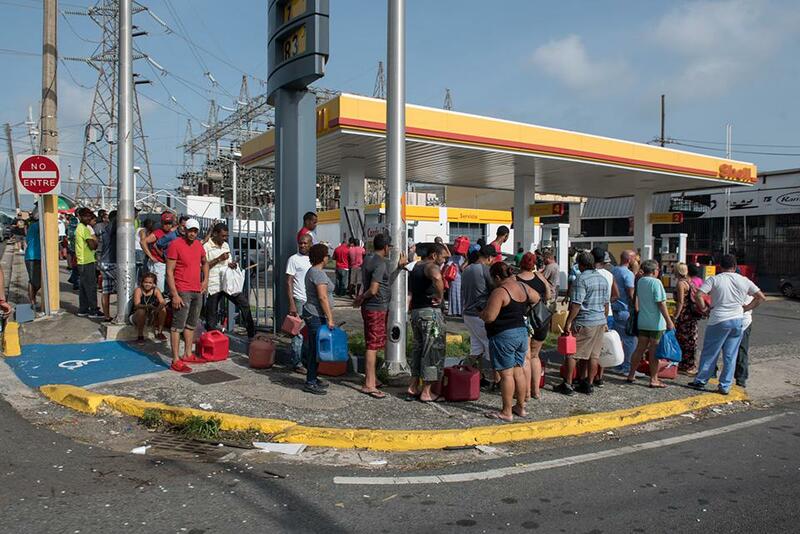 Crowds of people wait in line for gas at a Shell station in San Juan, Puerto Rico. Damage from Hurricane Maria is seen in upon landing at Luis Muñoz Marin Airport near San Juan, Puerto Rico. 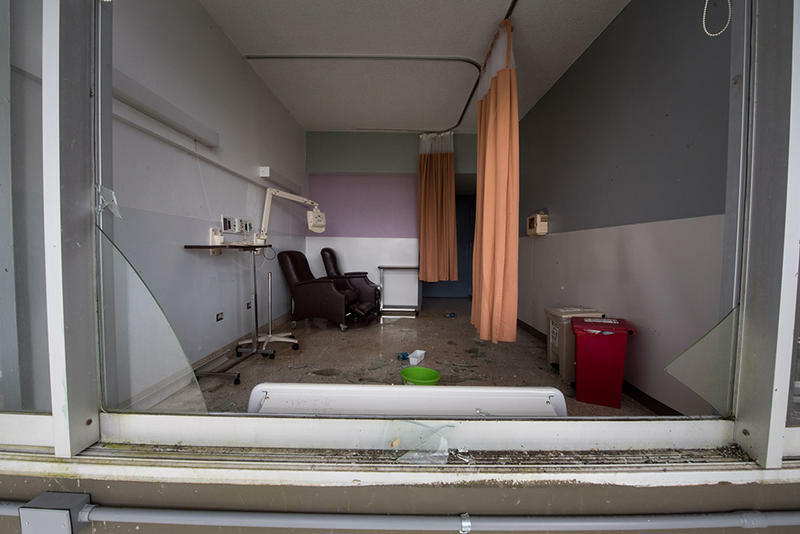 Damage to one of the patient rooms at Hospital Menonita de Caguas in Caguas, Puerto Rico. 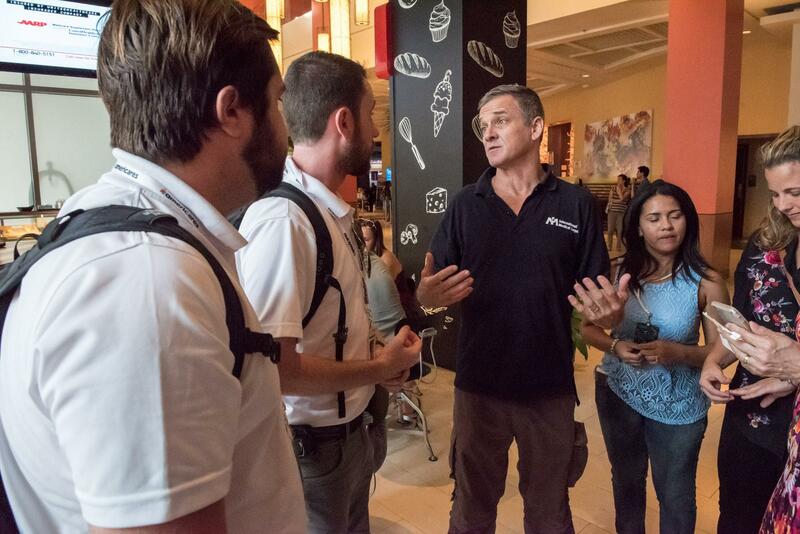 Dr. Robert Fuller with AmeriCares staff to coordinate logistics as both prepare to assess damages and help those suffering from Hurricane Maria. 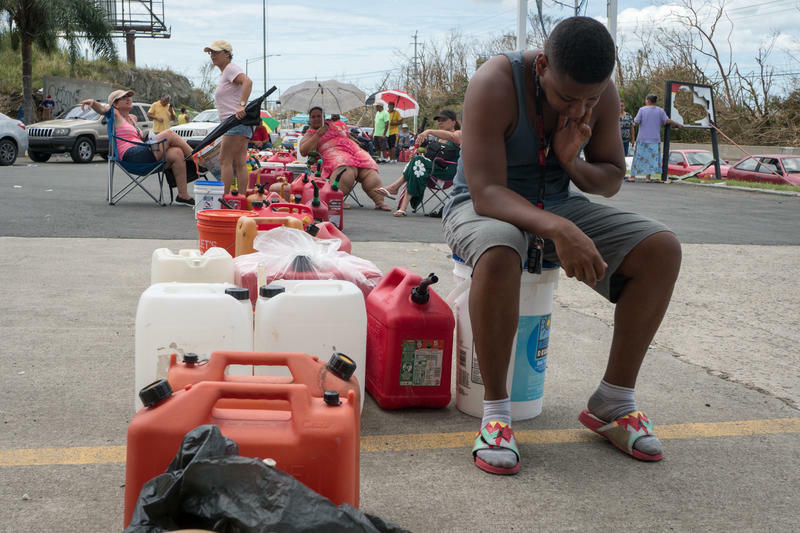 Robert Fuller was loading his car with supplies in San Juan, getting ready to leave the battered capital for a trip inland to survey damage to local health facilities, when we caught up with him by phone. He’s traveled in other disaster-ravaged areas -- Haiti after the 2010 earthquake, and Indonesia after the 2004 tsunami. And while other disasters have seen heavy loss of life on the front end of the event, Fuller said the Puerto Rican situation is different. 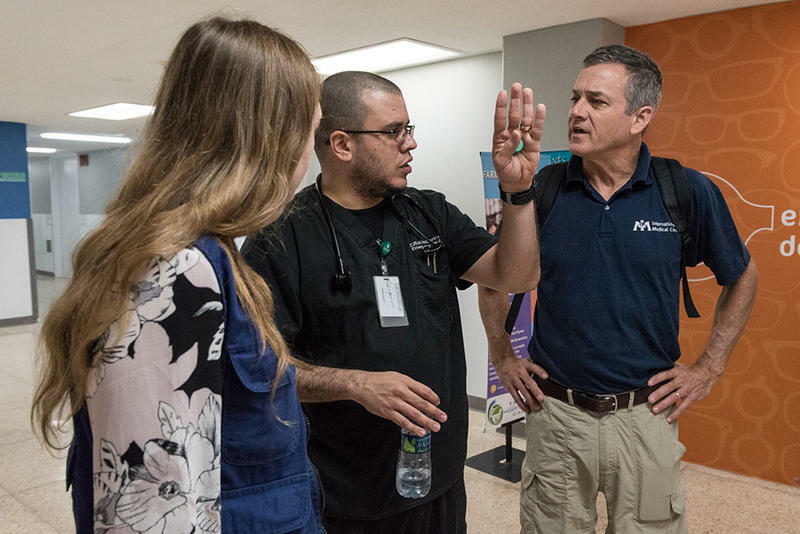 Fuller is the head of emergency medicine at the University of Connecticut and is working on the ground with International Medical Corps, a California-based first-response organization. 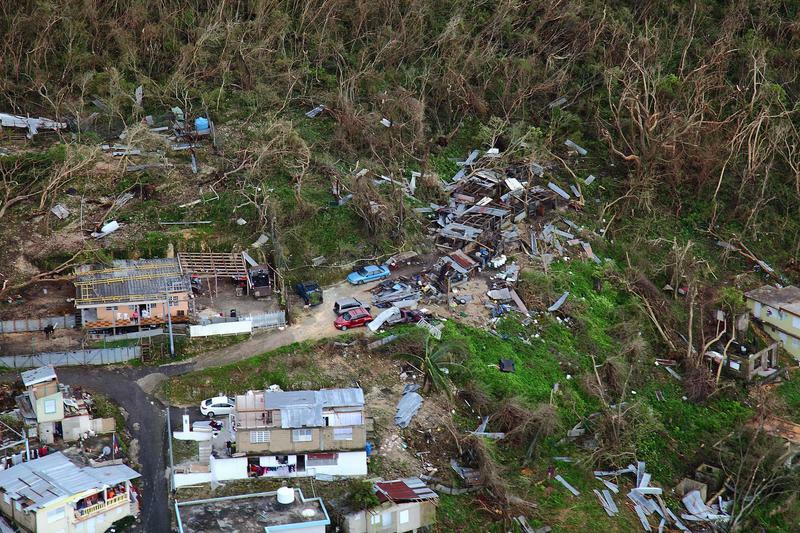 Nearly one week after Hurricane Maria made landfall in Puerto Rico, parts of the island remain disconnected from food, water, and medical services. 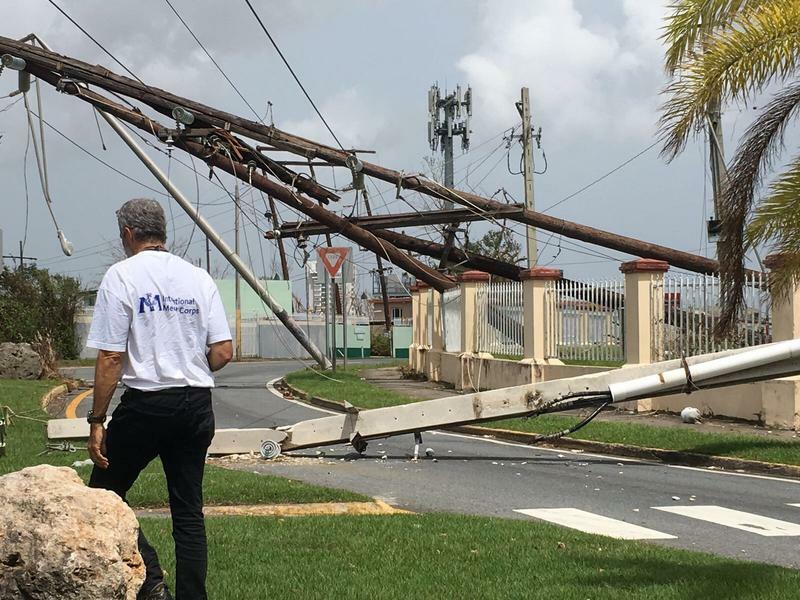 Telecommunication throughout the island has been slow to get back up. 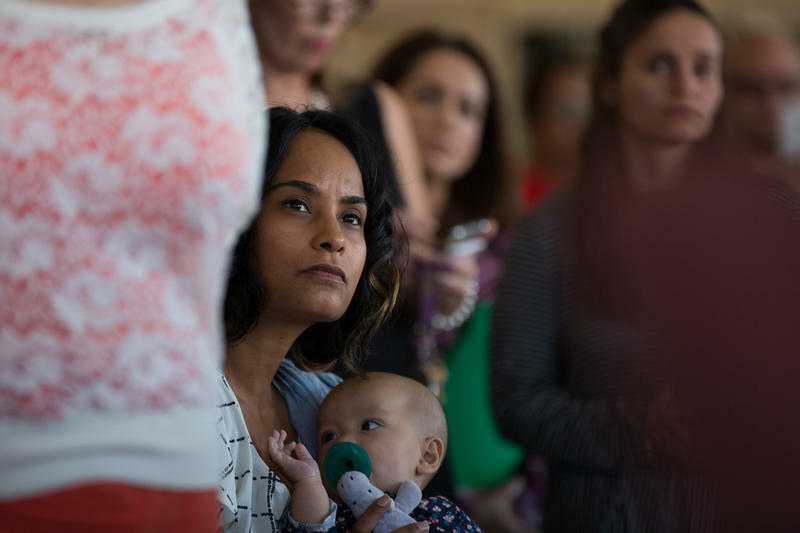 Many in Connecticut’s Puerto Rican community have been unable to reach family and friends since the hurricane hit. Friends on the mainland who have family on the island have asked, through his wife, whether he could help make contact. But, Fuller said, there’s no way to communicate on the island outside of San Juan. “My gentle counsel to people in Connecticut with Puerto Rican connections is: Have faith that they’re probably doing alright because it seems like they’re going to be doing alright,” he said. That is, he said, unless those connections have chronic medical conditions that need medicine and care. For them, time is of the essence. Tucker Ives contributed to this report. As Puerto Ricans emerge from the devastation of Hurricane Maria, family members back in the continental U.S. are desperately trying to get in touch. In Connecticut, political leaders are focused on both how to rebuild, and how to find their loved ones. Students, families and many school staff in Holyoke, Massachusetts, are still desperate for news from relatives in Puerto Rico after Hurricane Maria hit last week. In a tiny sliver of shade, on a hill next to Puerto Rico's Route 65, Kiara Rodriguez de Jesus waves a sparkly pink hand fan to keep cool. "I trust in God," she says. "Please, come the gas." Along with her family, parked in a Volvo SUV, she has been in line for gasoline since 3 a.m., she says. Now it's after 1:30 p.m. And like everyone else at this gas station, she has no idea how much longer she'll be waiting.